"Jim Montgomery and Mo Chambers combine expertise and experience in this outstanding book. Mastering Swimming covers every aspect of technique, training, motivation and organization that should meet the needs of every masters swimmer regardless of age and ability. It is bound to become the standard reference on the subject for years to come." 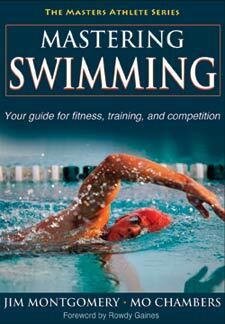 Trim seconds off your time, train more efficiently, or simply maximize your fitness workouts with Mastering Swimming. Renowned coaches Jim Montgomery and Mo Chambers have teamed up to create the ultimate swimming guide for masters athletes. Mastering Swimming covers equipment, dryland training, motivational strategies, and guidance for selecting a masters coach or program. With such complete coverage, it’s the one resource you’ll turn to time and again for a lifetime of serious swimming.